They belong to the Instagram generation – where they have built a cult following for their uniquely Sri Lankan brand. Yet for Akarsha Weerasooriya and Saliya Gunasekera, this is only the beginning of their entrepreneurial journey. They have done just that. 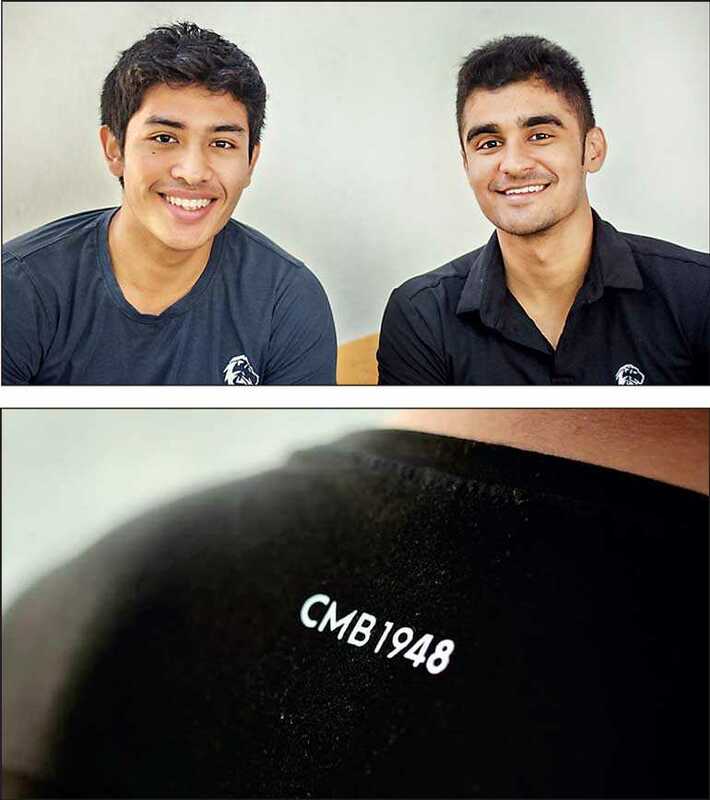 With their first collection of high quality T shirts that came out with the launch during the Season, CMB1948 made an impression. The T Shirts sold out in no time; “Our audiences identify with the brand – it is hip, it is now and it is very, very social media savvy so they can connect with the brand instantly,” adds Saliya. “We are a totally Sri Lankan brand. In appeal and in identity. Clean, simple lines that bring home the fragrance of our island home. Memories that linger on of the beaches, the emerald seas, the blue green mountains and the breathtaking scenery. And our people. The ones you meet every day. The ones with whom you celebrate life and love. Their next collection will be launched tomorrow, 19 January – a curated collection will be available at a pop up store at Dolce Italia on Skelton Road, from 12 p.m. to 6 p.m. The two young entrepreneurs, who both rowed for their alma mater S. Thomas’ College Mount Lavinia, have always wanted to do something different. CMB 1948 is a result of their combined talents in pursuit of apparel excellence. CMB 1948 also creates T-shirts and caps for bulk orders; they have handled such orders for many organisations already. “Proudly Sri Lankan,” they both chorus in unison.